In this article, we analyze the best USB WiFi adapters and we divide them into categories so you can choose the most suitable one for your needs. Before you start … What is a USB wireless adapter? A USB wifi adapter or WiFi dongle is simply a USB device that you connect to your computer or laptop to receive wifi signal and can connect to the network. 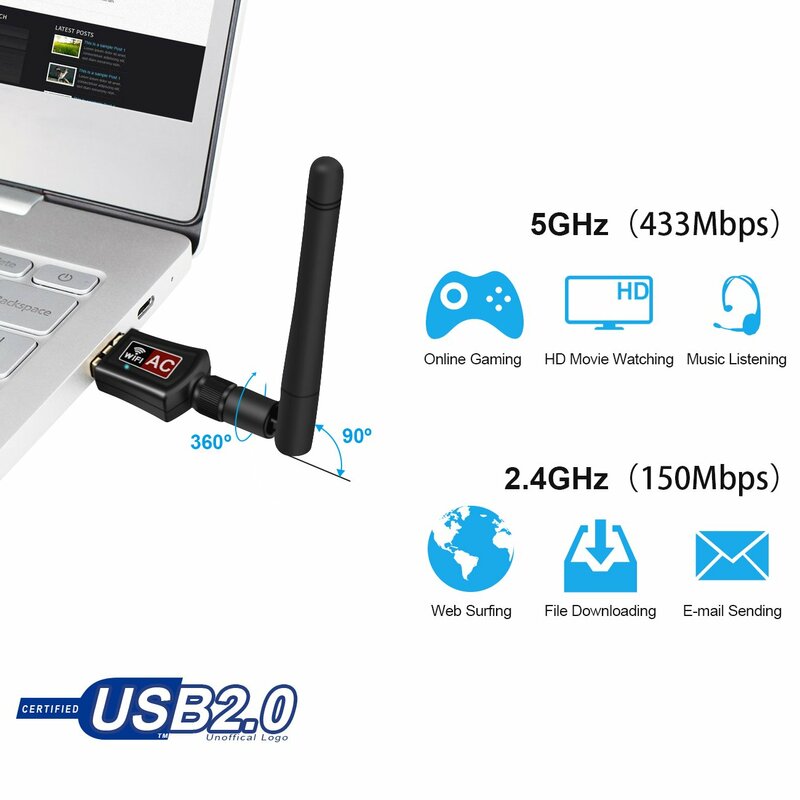 This type of wifi adapter is ideal for improving the connection of old laptops that are usually equipped with less efficient systems. You can also have wired connections with some of the models. What should you keep in mind when choosing a USB wifi adapter? 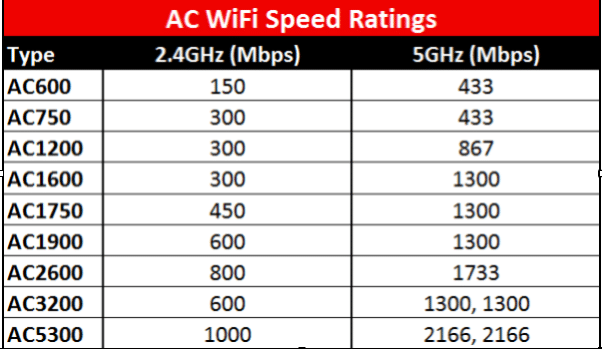 The most important thing of all is to know your connection speed because it does not make sense for you to buy a high-speed wifi adapter if your connection is limited. We recommend that you measure the connection speed using Speed Test on a wired connection. For example, if you see that you work at 20 Mb / s it does not make sense for you to buy a USB wifi that works at more than 300Mbps. IMPORTANT: it may not be a bad idea for you to buy a high-end wifi USB adapter because the connection speed improves year after year. And if you buy a basic equipment it may soon fall short. How to choose the right speed of USB Wi-Fi adapters? The speed is measured in Mbps (megabits per second) and indicates the number of data (in bits) that your connection is capable of transferring. The adapters transmit data using the 2.4 and 5GHz frequencies. Quality equipment transmits on both frequencies, basic equipment transmits only on the 2.4GHz frequency and professional range devices have another additional frequency that goes to 5GHz. 1. USB port: USB 3.0 ports are faster than 2.0 and allow data to be transmitted ten times faster. 2. Bands: the adapters that work in dual-band (5GHz and 2.4GHz) offer a much more stable signal than those that work in a single band. 3. Antenna: mini USB devices usually offer less coverage and equipment with antennas offer more. 4. 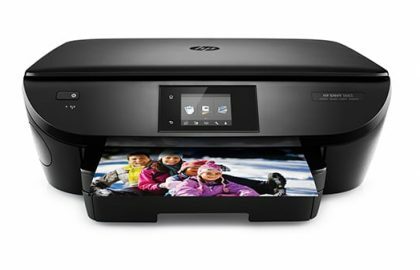 Speed: it does not make sense for you to buy a high-end model if you never use high-speed connections. Speeds range from 150Mbps to 5300Mbps. 5. MU-MIMO: this technology is new to the market and manages to increase the performance by 130%. Mu-Mimo allows more simultaneous connections with bandwidth optimization. The time has come to start studying the best models. You will see that we have not made a single list but we have grouped the best USB wifi adapters by price ranges. First, we enter the high-end that have very good transfer speeds, work with USB 3.0 and have high prices. Then we look at the best mid-range models that have slightly lower transfer speeds, less stability, and performance that differ considerably when changing models. And finally, we explain the best low-end models that work with USB 2.0 ports, have less bandwidth and are very economical. This wifi adapter is the best on the market. It weighs only 300g, can be easily carried in your pocket and offers a transfer speed of up to 1900Mbps (up to 1300 Mbps in the 5GHz band and up to 600 Mbps in the 2.4GHz band). The Asus AC68 can be connected directly to the computer or via USB cable to an external base. This base allows you to place the device vertically and place it at the point that has the best Wi-Fi reception. The device passed our tests with a note: it captured the signal well with walls in between and we did not observe cuts or instability. In addition, the position of the antennas is very versatile. 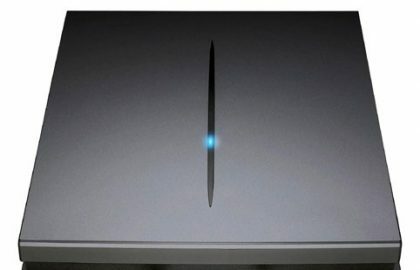 For example, you can connect the Wi-Fi adapter directly to the laptop and open the antennas without creating obstructions. The installation is very fast and the equipment does not give any problems. We consider it an excellent purchase if you value having a good Wi-Fi connection and desire high speed. Without any doubt, the best USB wifi adapter on the market. 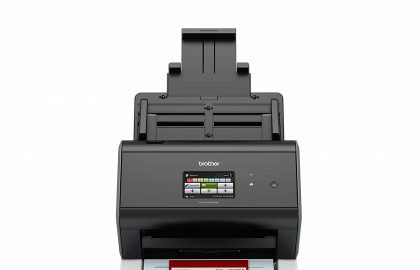 This equipment is really superior to the previous mid-range models but it also has a higher price. Therefore it can be categorized as one of the ‘low priced’ top end network adapters. It stands out for having a higher speed and superior signal coverage and stability. During our tests, we have been able to verify that the 1300Mbps announced by the manufacturer are real and that the data transmissions are excellent for their category. The equipment is sufficient for streaming and activities that require moderate bandwidth. The only problem that we saw was the incompatibilities of the 5GHz band with windows 10 and Linux. But these problems are solved by uninstalling the manufacturer’s drivers and letting Windows 10 install its own. Impeccable performance at a price lower than its competitors. This futuristic design wifi adapter is also high-end but it came out one year before the ASUS that we just reviewed. It weighs only 160g and has a beautiful spherical shape. This is a bit inconvenient because it does not allow you to carry it in your pocket. However, its spherical shape together with Smart Beam technology allows it to focus directly on the router’s signal and thus have better coverage. Its transfer speed is 1900Mbps (600 Mbps at 2.4 GHz and 1300 Mbps in the 5 GHz band) and ]is very stable in all bands. During the tests, we were able to play games and stream without any interference. The configuration is fast if you have a router with WPA and it is not complicated if you use the configuration CD that comes with the device. An alternative option to the Asus USB-AC68. It offers a good performance, is little cheaper but is space consuming due to the spherical shape. This model comes from the hand of Netgear and does not have as good reviews as the following ones. After making these changes, we find that it gives a very good performance. We have done coverage tests with several rooms in between and the results have been satisfactory. At the same time, the signal has been stable and the speed has been the one that marks the manufacturer. Once the driver problems are solved, it behaves like a charm. 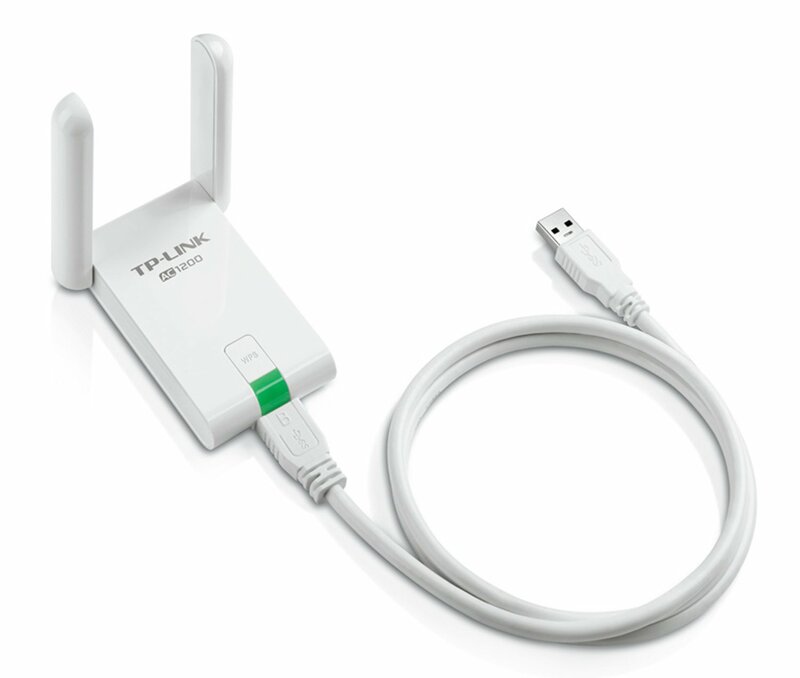 TP-LINK is a well-known manufacturer of network devices and also has very good reviews. To begin with, the model does not offer direct USB connection but can be connected via cable. This makes it less versatile but also helps to have a competitive price while maintaining good benefits. The equipment is matte white and has two large antennas that emerge from the ends of a rectangular base. Its coverage is among the best within its range and transmits at 1200 Mbps using a dual band. After performing several tests we have been able to confirm that the signal is more stable than in the previous model because the 5GHz band does not give interruptions. We have also done tests putting the equipment about 30 meters with walls in between and the signal was still good. But for high-end applications and gaming, it lagged behind. Competitive price, robustness and good features make it the best mid-range wifi adapter. RangeMax WNDA 3100 enables two frequency bands – 2.4 GHz and 5 GHz. This device can be set with the strap to secure the best results for a particular circumstance. The 2.4 GHz range makes the adapter compatible for use with devices that the Wi-Fi g or b standards. It is great for surfing the web, check e-mail and other network applications that do not require huge quantities of data-transfer. This frequency band is quite busy with other products including wifi and Bluetooth devices for wireless communication, remote controlled toys and even microwaves. Choosing the 5 GHz band ensures optimum performance when connecting to routers that meet the Wi-Fi n standard in the higher band. Finally, the network traffic can be prioritized by the user with the WMM, Wi-Fi Multimedia. Each network has a number of risk of attack by hackers who try to endanger sensitive information or to exploit the network internet connection for own use. The WNDA 3100 uses several layers of encryption that greatly reduce the threat. The second generation of WPA, WPA2 Wireless Protected Access is much more effective on the protection of data and access to the network. It features Advanced Encryption Standard or AES, a technology that the public authorities and industries use as protection against unauthorized access to sensitive information. Creating a secure connection is simplified with the help of the Wi-Fi Protected Setup function, WPS, which NETGEAR has renamed to Push N Connect. The connection is only a matter of pressing the push ‘N Connect button on the adapter then pressing the corresponding button on a WPS-enabled router. The Netgear RangeMax comes with an installation CD that includes the Easy Smart Wizard for the setting of the device. Connecting to compatible routers can also be done using the Push ‘N-Connect feature which allows for almost instant connectivity. 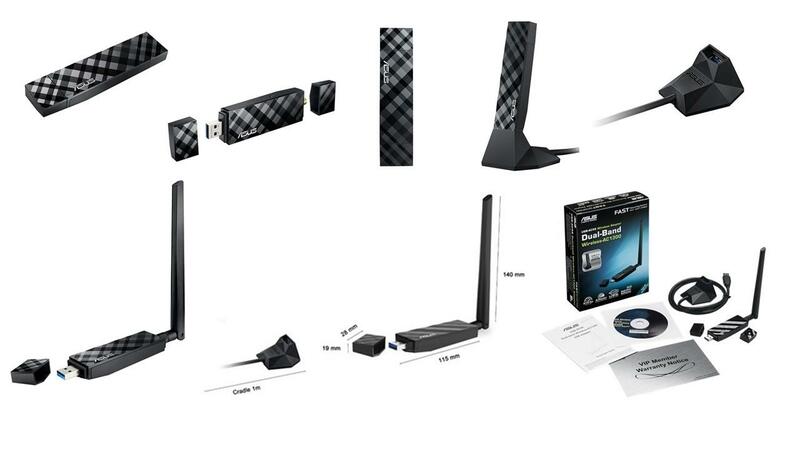 The Netgear RangeMax WNDA 3100 dual-band Wireless N USB adapter is a good choice for anyone who wants high-speed internet connectivity for their PC or laptop. The dual-band connectivity offers great opportunities to reduce interference and to take advantage of enhanced bandwidth than the previous generation of wireless devices. This model is a classic among the USB wifi adapters. It stands out for its ultra-compact size that fits everywhere. The TP-Link nano is not a model for everyone because it works only with the 2.4GHz band and gives a speed of 300Mbps. In this sense, it is an ideal model for those who just need a wifi dongle to casual browsing and not requiring high speed. Although the equipment is simple, its performance is superior and is compatible with all types of equipment. In this sense, the manufacturer has been able to perfectly adjust its performance and has made the signal and coverage are very stable. 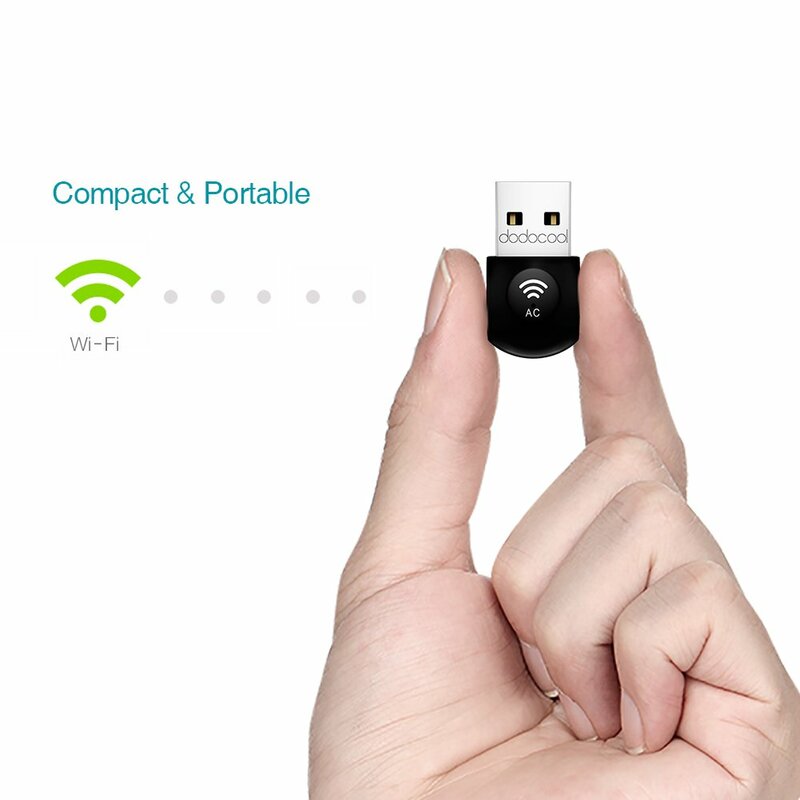 Two things that we like are the option to create a secure connection only by pressing the WPS button and size of the device which is the smallest WiFi USB adapter. Practical, basic and very stable. The second option in the lowest price range is from the Chinese manufacturer Zoweetek. This model is very simple, offers a remarkable price-quality ratio and we like it because it simply works well with all devices and OS. 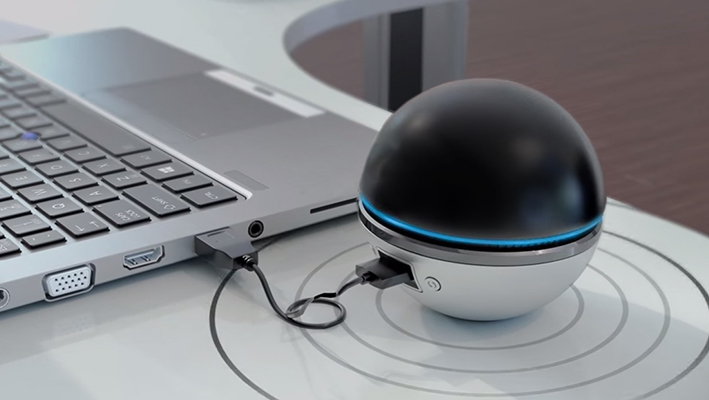 The Zoweetek consists of a USB body and a detachable antenna. The equipment measures approximately as a ballpoint pen and offers a speed of 600Mbps using the dual band for the transfer (150Mbps in the 2.4 GHz band and 433Mbps in the 5 GHz band). The coverage is low when you have many walls in between but otherwise its good. We have seen many bad reviews about signal cuts in the 5GHz band but in our tests, we experienced nothing like that. When searching for networking products, D-Link would be the first name that comes up for many people. 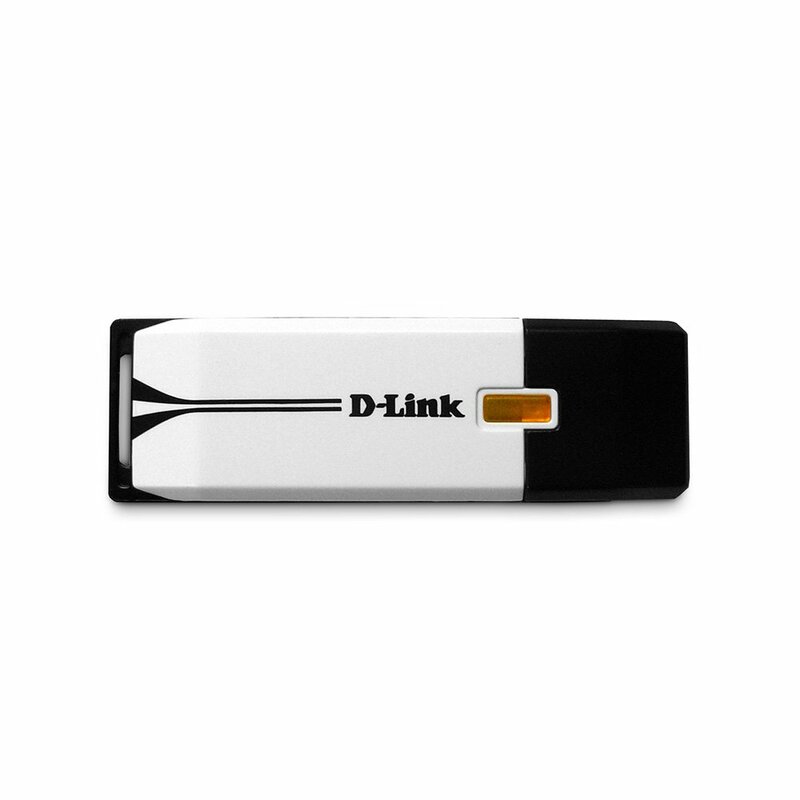 D-Link DWA-160 Xtreme N is a dual-band wireless adapter that meets the requirements of the high-speed Wi-Fi n standard. The DWA-160 uses MIMO or Multiple-Input/Multiple-Output technology to get far greater range than that was possible in the past Wi-Fi devices. To be able to choose between the 2.4 and 5 GHz frequencies makes it possible to resolve conflicts with other devices such as mobile phones and home automation equipment. The lower frequencies work fine for surfing the web and communicating via e-mail and messengers. 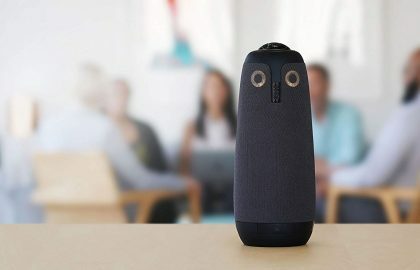 It is also ideal for most of the interaction with other devices in the network, such as to share files with other computers, while the upper frequencies can be used to play online games and stream HD content. Still, the frequency range is subject to occasional interference simply because of the number of devices that use it. The Wireless N standard uses Wi-Fi Multimedia technology is often referred to as WMM. This functionality allows the user to set priority for different types of network traffic so that the less important functions do not interfere with the more sensitive transmissions. The DWA-160 is also compatible with Wi-Fi g and standard devices but will not operate with b standard products. That will not be a problem for most people as the b standard is out of date now. The D-Link DWA-160 is equipped with WIFI Protected Access, WPA, for the protection of data and network access control. AES is widely used by governments and large companies to protect information and, at least up until now there is no report of this standard to be broken. This device also makes use of the original Wi-Fi encryption standard known as WEP or Wired Equivalent Privacy. Initial setup of the adapter is made easy by the D-Link Quick Adapter Setup Wizard that is included on the installation CD. The network connection can be reached with a press of the button with the WPS feature. It is easy to spot the difference because it adds a small, Orange, by the activity LED on the outside of the appliance. D-Link technical support can be reached via a toll-free telephone number 24 hours per day, 7 days per week. The D-Link DWA-160 Xtreme N is a worthy competitor in the dual-band wireless adapters. This USB wifi adapter is an interesting option for budget conscious people. 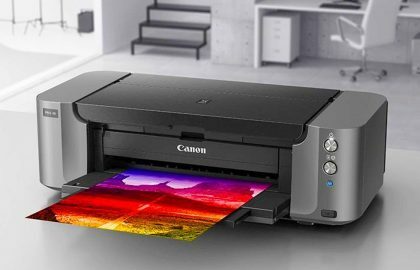 Its price is in the range of low-end equipment but its benefits are in the middle range. The equipment offers a speed of 1200Mbps using dual-band (867 Mbps in the 5 GHz band and 300 Mbps in the 2.4 GHz band) and stands out for the compact design that allows you to carry it in your pocket. Although it is low priced and provides high specs, it comes with many issues also. The major problems we found out were frequent interruptions, software incompatibilities with many devices and heating issue. We also looked at many reviews and some have reported the same substantiating our findings. Buy this only if you are strict about the budget and require dual-band adapter. Cisco Linksys AE1000 offers high-performance wireless network connectivity for all Windows-based desktop or laptop computer. The range and the data transfer rate achieved by the Wi-Fi Certified n technology rival those of a wired network without the inconvenience and the complexity tied to them. At home or in an office environment, this equipment makes network connectivity simple and flexible. The appliance comes with a handy USB extension cable and mounting plate. It is especially useful for the semi-permanent installations that one would want to make for a desktop PC. Plugging to the rear USB port and placing on a strong base is necessary for pc and sometimes even for laptops. It can also provide improved radio signals. Cisco provides customer support through a variety of routes, including live chat, e-mail, and free telephone. 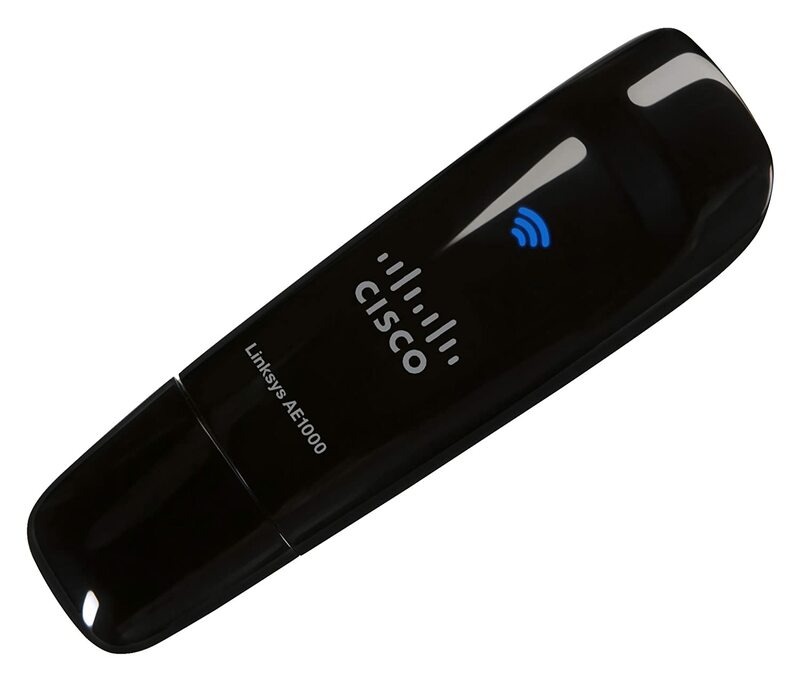 The Cisco Linksys AE1000 wireless adapter is equipped with an ADSL, wireless data transfer for home and business users. It meets all the current Wi-Fi security standards and is Wi-Fi certified. The USB extension cable and mounting plate add an element of convenience that is available with very little adapters and further helps improved radio reception. 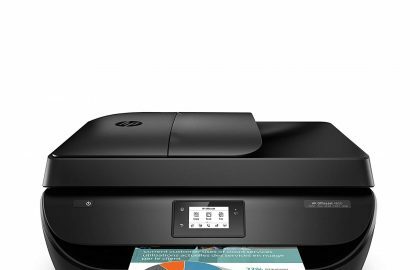 Just as Cisco Linksys wireless routers set the standard already, this device is hard to beat any time in the near future. The Buffalo Technology Nfiniti WLI-UC-G300HP is a perfect adapter for most users but is too short in a few areas which are important for some. The previous iteration of the Wi-Fi wireless technology, widely used now also, the standard known as “Wireless N’, makes a number of notable improvements to wireless networks for the home and corporate users. Wireless signals in a home or office are subjected to numerous obstacles such as walls and furniture. The signals bounce around and, with previous Wi-Fi products, would create dead spots and reduce effective range. MIMO technology used in the Buffalo Nfiniti makes the bouncy signals return to the adapter and diverted in a more efficient manner, which virtually eliminates dead spots and increases range. The Wi-Fi n standard also makes use of a functionality called Wi-Fi Multimedia, or WMM, which allows the traffic on the network to be prioritized when the user is multitasking. On the downside, the Buffalo Nfiniti is a single band router that operates in the 2.4 GHz frequency band which is prone to interference. You may not use this router for high graphics gaming and HD streaming. Dual-band adapters can also operate in the 5 GHz such as D-Link DWA-160 Xtreme which has only few interference and very high speed.